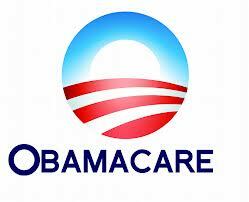 Just a year ago after resigning from my previous job, I was left with no other option than to sign up for Obamacare. Medical insurance had to be available to me at all times and in ways I could easily access for my father who has been depending on my insurance since being diagnosed with cancer. After many requests through phone calls and in writing, the insurance company finally agreed to process my application. The sign up process was quite complex on the internet as the website was down for most of the week I planned to access. However, my Blue Shield insurance package came by mail within a week. I could only afford the bronze plan from my carrier. There was no federal subsidy because my income was slightly above the allowed limit. Regrettably, this insurance can’t be there with us at times like the moment when there is a viral infection in my family or an unexplained body ache. Any plan unless you choose the upper two categories comes with high deductible premium. And if no monetary compensation is possible there is still the need for practical help that will make it possible for people with illness to bear the unbearable which is lacking in Obamacare insurance plans. If I have Obamacare can I Keep My Doctor? “If you like your current insurance, you will get to keep it. You can keep the current doctor as well”. What President Obama told us seems to make no sense at all. For once I was utterly lost for words when my father’s doctor refused to accept the new policy. I couldn’t think of anything to say at the clinic front desk that would have had any meaning whatsoever when asked about changing the plan. Then the doctor asked me if I wanted to pay by cash for all the future treatments. And that was too much for me. I felt like the worst kind of caretaker. So without even a word of comfort to my parents I had to leave. The thing is, the insurance company had made a decision to no longer include some of its previous doctors within the EPO network. The only option for me at that point was to switch to another doctor within the network. Overall, my monthly premium has increased to 30 percent after the inception of Obamacare. And over the span of four months, I have spent nearly $2500 in co-pay, additional treatments not covered by the plan plus prescription medications out of my pocket. I only hope that all this will change with the increased focus on reasonable deductible amount in the future years. See Obamacare Plans Being Offered. We medical Obamacare holders have superb stories to tell and we should use those experiences to make others life better. Obamacare reviews are hard to find because there is no place to post the truth. When the government takes over it is important we get the word out and share our experiences and educate others to convey the reality of modern medical insurance industry. Why, because many have often only anecdotal information about their insurance policies – what works and what doesn’t for their financial and health situation. Not knowing such useful information is surely an expense. Obamacare Reviews Dental Insurance Plans? Obamacare dental insurance plans are no good. They have low max out of pocket costs and it take two months to even get a card. My spouse never even got a card. I needed a root canal and I went to No Waiting Period Dental Insurance and I like my dental insurance, but that is not Obamacare coverage. It’s private insurance. Private insurance is much better than Obamacare.